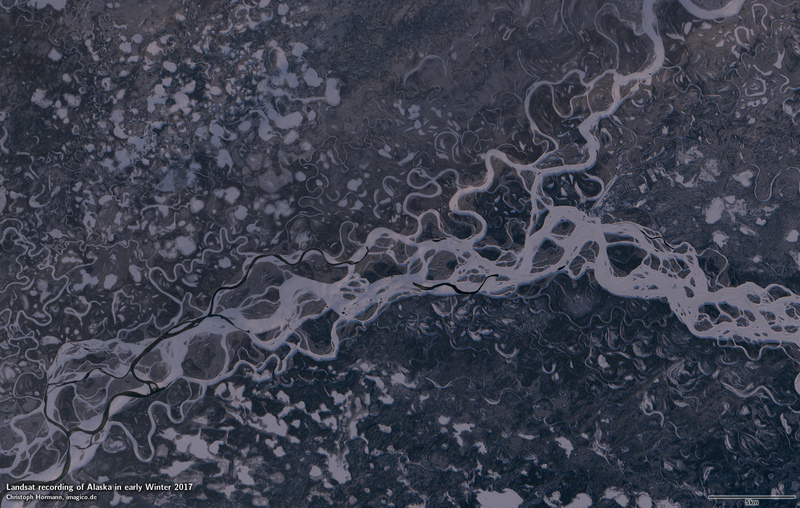 This is a strip of nine Landsat scenes recording parts of Alaska in early Winter from a few days back. 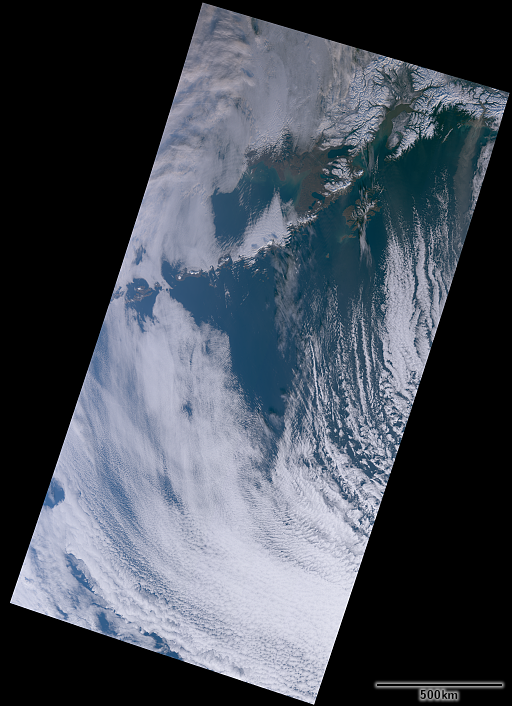 I rotated this to align roughly with the satellite recording direction and you need to scroll down to see the whole image. As you scoll down you move from the limit of the polar night at the northern end towards the southwest and towards the sun across about 1500km. You will notice a slight bend in the image when doing that – this is because the image coordinate system is not actually aligned to the satellite orbit but a simple oblique mercator projection. Due to the satellite’s sun synchroneous orbit however the satellite ground path is not actually a great circle but kind of spirals around the earth following the sun. 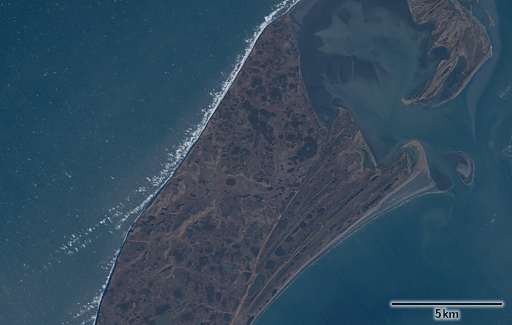 The southern end of this image strip is defined by the end of the Landsat recording which does not extend over the open ocean (it is Landsat after all). The northern end is the limit of normal Landsat recordings at this time of year due to the low sun position. 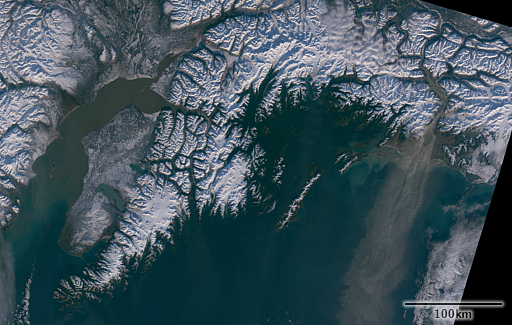 Here a Sentinel-3 OLCI image from the same day (and this time with north up orientation – also allowing you to identify where exactly the first image is placed) showing a much tighter northern limit. 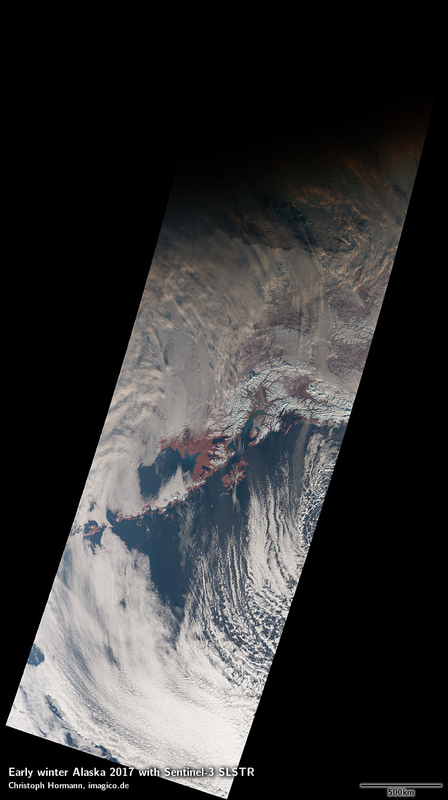 And for comparison here a false color infrared Sentinel-3 SLSTR image where no recording limit is imposed showing the actual limit of light – but of course not in natural colors. The two Sentinel-3 images also show an impressive cloud of dust extending SSW from the delta of the Copper River in southern Alaska at the right side of the image. Here a larger view to show this better. 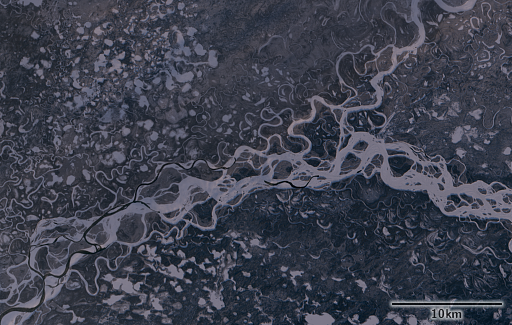 And finally two crops from the first image – the first one from the north showing how you can watch the rivers freezing over at this time of the year near Fort Yukon. 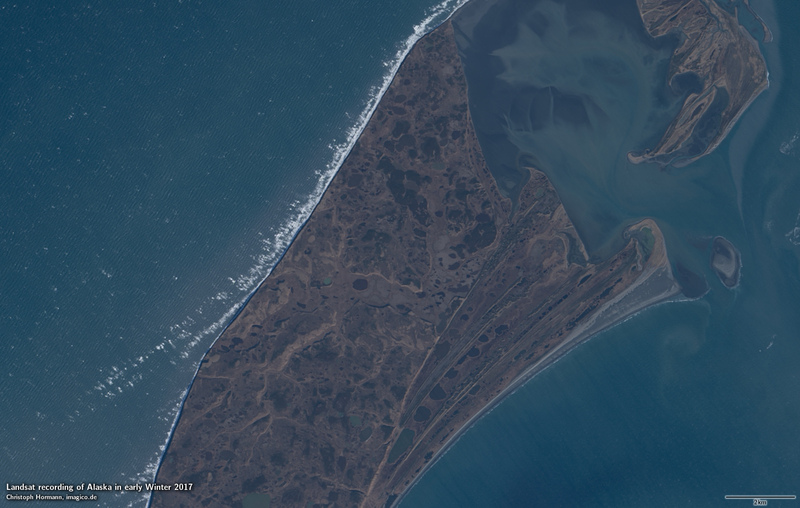 and the second from the south showing the indeed very windy yet sunny weather at Tugidak Island in the south.